A caterpillar starts to become a butterfly as soon as it enters the chrysalis stage, by wrapping itself in a cocoon. 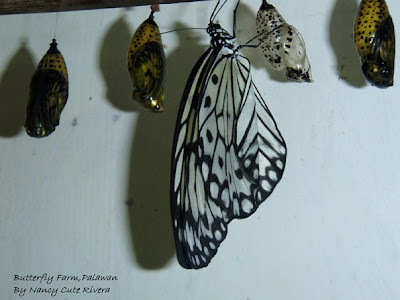 During this phase, known as pupation, the insect gradually develops all the butterfly characteristics, including wings. For some butterflies the transformation may be complete in one or two weeks. But others need many months before they are ready to leave the cocoon and fly away.